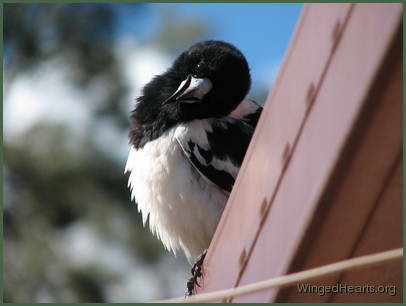 The birds love having a few short naps during the day. 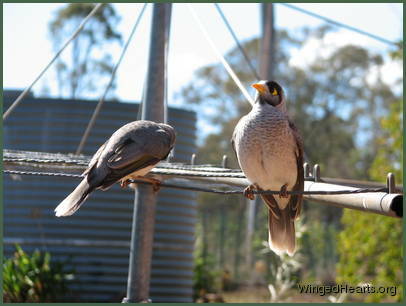 We call them 'trancing' because they look like they have gone into a trance. 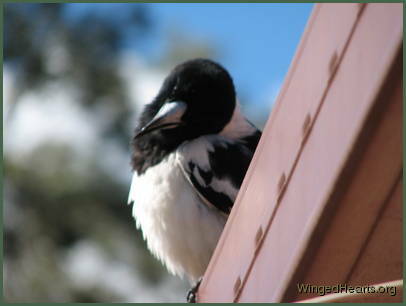 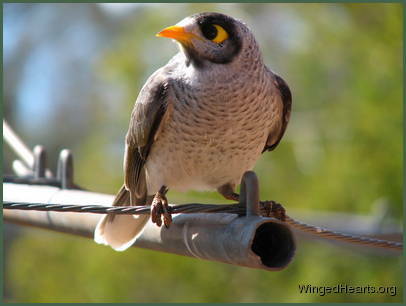 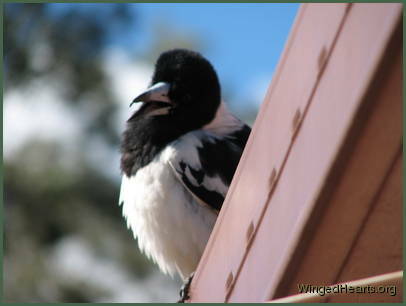 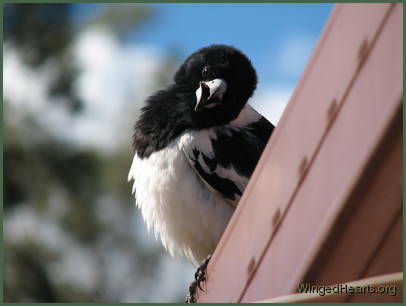 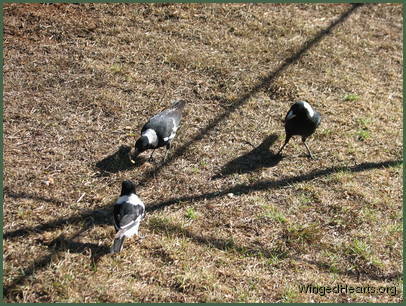 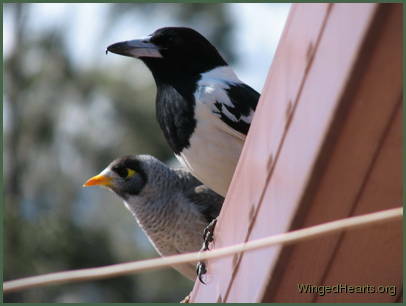 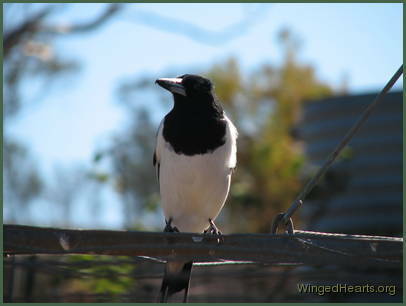 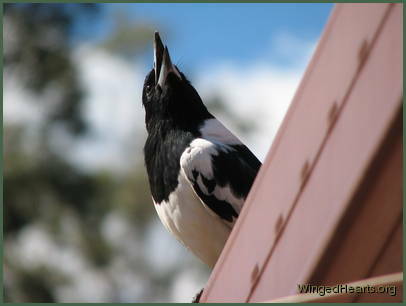 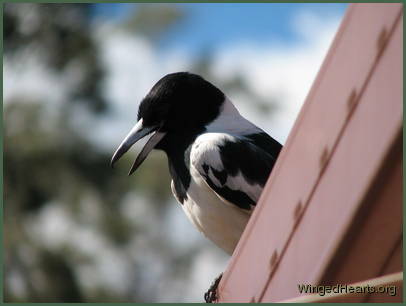 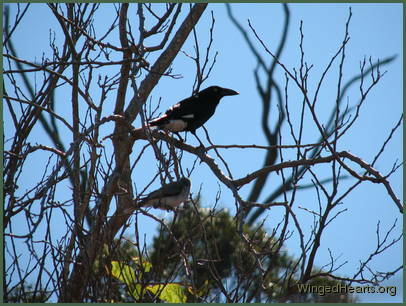 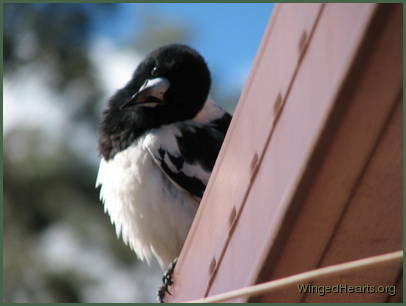 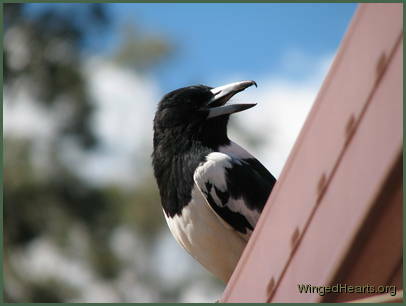 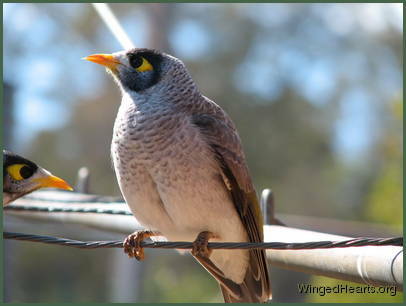 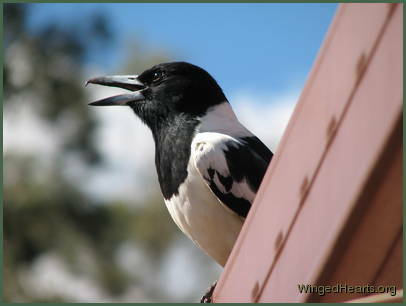 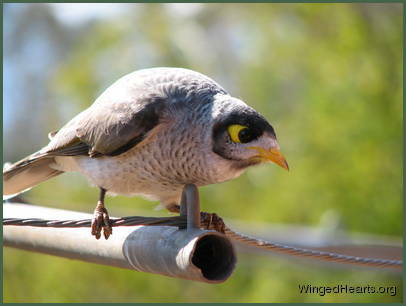 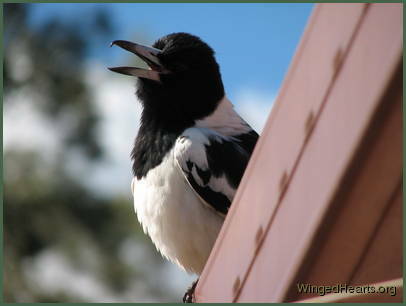 In this slideshow we catch Dimpy the pied-butcherbird go off into a trance with Renuthri his Noisy-miner friend and other noisy-miner cousins keeping watch around him.